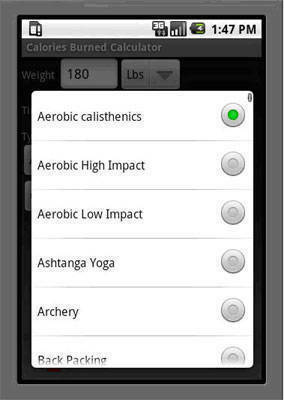 Yogis, here's how your mobile or android phone can help you maximize your workout. 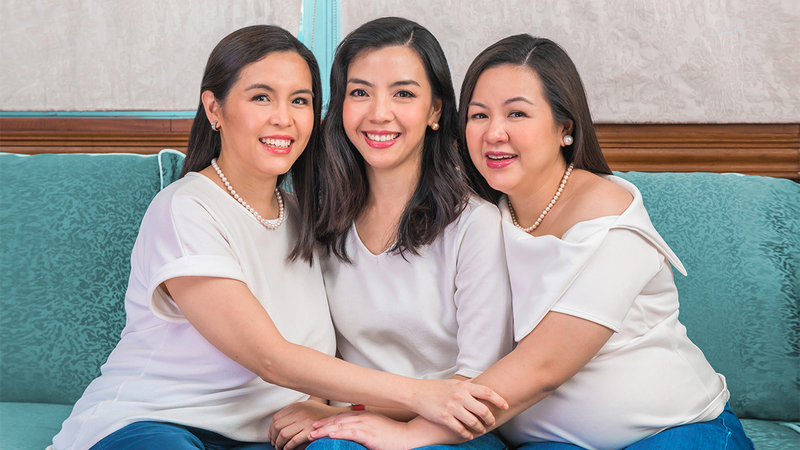 Yoga has been growing in popularity with the Metro Manila crowd, as evidenced by the growth in the number of yoga studios offering to help Manilans stretch, bend and centre their bodies and minds. Known to provide numerous health benefits, from improving sleep to reducing stress and musculoskeletal pain, Pinoys are getting into shape with this unique workout, whether it is hatha, ashtanga, bikram, or power yoga. 1. Look for yoga studios around the Metro with Google Maps for mobile: Can’t decide what’s the best and most convenient studio for you? 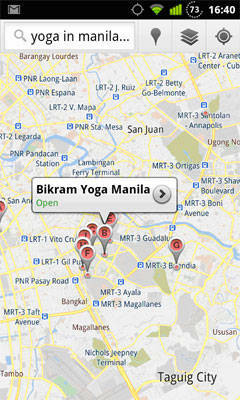 Simply search for ‘Yoga in Manila’ by clicking on the Places icon in your Google Maps for mobile app, and you will find a list of various establishments, their names, addresses, websites and telephone numbers. 2. Check out yoga postures with Google Images: Not sure if your pose is correct or whether it needs improvement? Type in the name of the posture in your Google Search app, and you’ll find diagrams and pictures of both professional and beginners executing the pose. 3. Track the number of calories burned in your yoga workout: Want to see how many calories you just burned during your yoga session? Install the Calories Burned app on your Android device to calculate the numbers of calories burned during a workout in two easy steps.